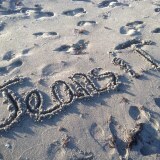 Jeans and a T-Shirt - Sun, Sand, Style, Florida. Welcome to Paradise! Sun, Sand, Style, Florida. Welcome to Paradise! SO HOT RIGHT NOW ! Jeans and a T-Shirt © 2019. All Rights Reserved.